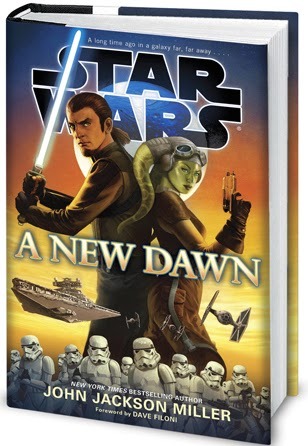 "Star Wars: A New Dawn" is a yawn! I've been a Star Wars fan ever since I remember, I've been reading all of the EU stories I get my hands on, and it pains me to say this, but I need to be honest with you guys. "A New Dawn" is a miss. Poorly written, needlessly stretched, whole chapters feel totally empty of content and only slow down the development of the story. I find it mediocre at best. I'm sorry to say that I forced myself to finish this novel, it just felt like a waste of my time. I also found utterly annoying the fact that John Jackson Miller uses way too many post-9/11 themes such as terrorism, bombings, and extreme video surveillance to establish the totalitarian feel of the Empire era. It was all very poorly integrated in the Star Wars galaxy, it was all like "OK, let's take a few things from the news and the recent political thrillers, slap them inside the novel and call them with Star Wars names". For me it did not fit the atmosphere of the universe established by George Lucas. It is uninspired and reads like something that just rolled out the Disney conveyor belt. I wouldn't say it deserves the Canon label. Talking about the new canon, I'd certainly stick to the young reader's book - I enjoyed "Ezra's Gamble" much more - it might have lacked depth, but it was true to the characters, fast-paced and fun to read. 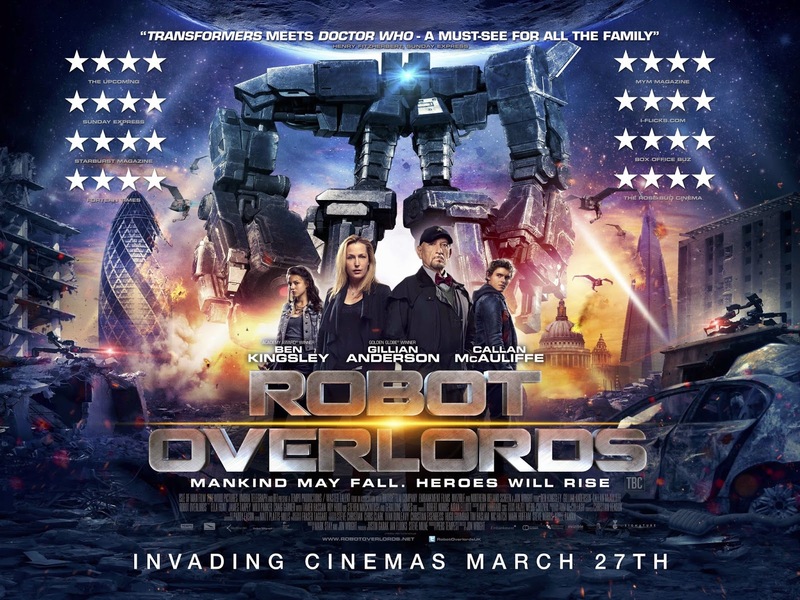 Robot Overlords is overloaded with awesome! It's like Dr. Who meets the Goonies! It's a brave all-age indie sci-fi adventure! It's the type of film that is centered around kids and teen characters, and still is not dumbed down as a kids-only film - something that you almost never get these days, with all the major studios "playing it safe". We had such films, but mostly in the 80s - stuff like "The Last Starfighter", "The Gremlins", "E.T. ", "*batteries not included", "Flight of the Navigator" and "Short Circuit"... I mean, it is not today's kids movie, it does not seek to be mild or comedic or innocent, and it does not aim consciously at a specific target audience - it is just out there for whoever feels like watching it and it does not categorize or underestimate its audience. You cannot actually tell if it's made for teens, kids, young adults, family film, sci-fi fans... And I salute this boldness! In the recent decade there have been so few such films, in fact at the moment I can only think of J.J. Abrams' "Super 8", Joe Dante's "The Hole" and Garth Jennings' "Son of Rambow". 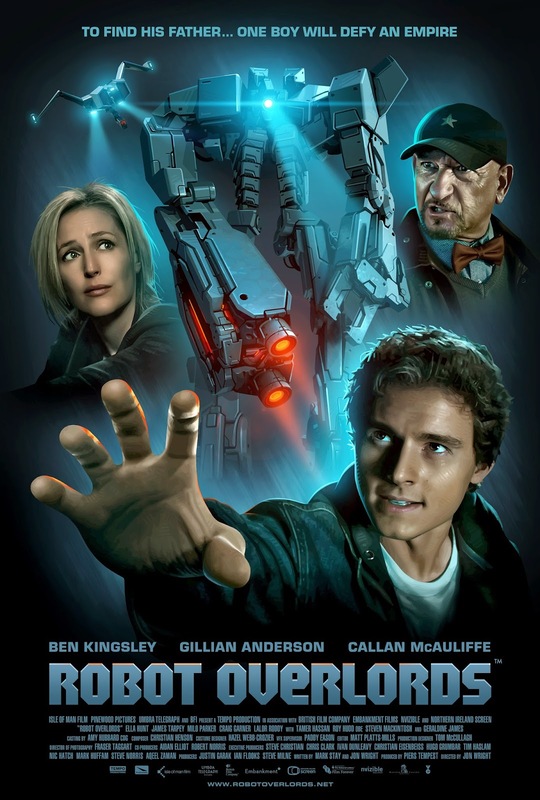 The acting is good, I really enjoyed all the characters, and by the way, is Gillian Anderson actually getting younger and hotter with time?! Geez, she looks so much better here than in The X-files! As far as the SFX and the CGI go - the digital effects may not be top notch, but do you actually need them to be? 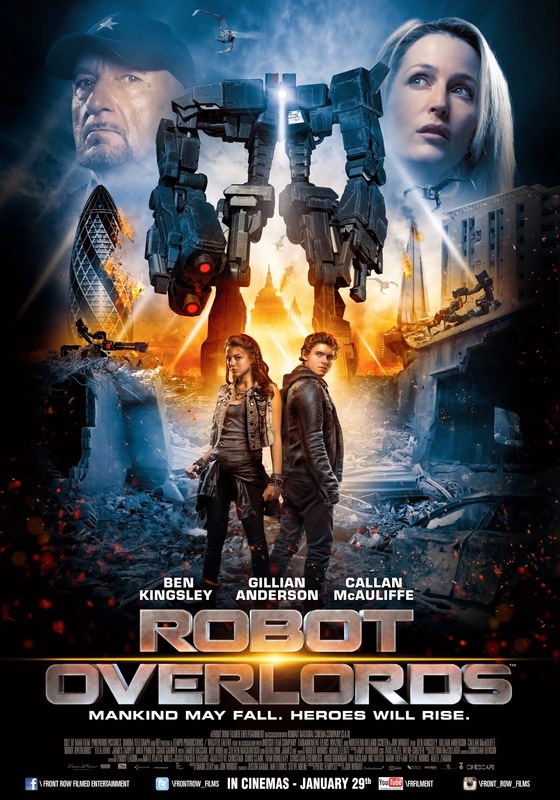 "Robot Overlords" has it all right where it counts! It's it's clearly done on a budget, it does not look like a 200-million-dollar picture, but I am so tired of shallow "all style and no substance" hyped up blockbusters that I even enjoy this indie feel of the film. Don't get me wrong - there's plenty of special effects (it's not all in the trailer, like with so many B-movies these days), and the effects are pretty decent and perfectly satisfactory. It's much better than anything you'd see on the SyFy channel for sure. The camera-work and the editing, may not attract attention to themselves, but they are elements which often work best when unnoticed, which is exactly the case here. It's all on a level, none of that shaky cam and fast cuts which spread like a tumor in today's action scenes. The film's colour palette is eye-pleasing. The film is by no means gloomy and at the same time delivers a feeling of tension and peril with a pinch distopian atmosphere. 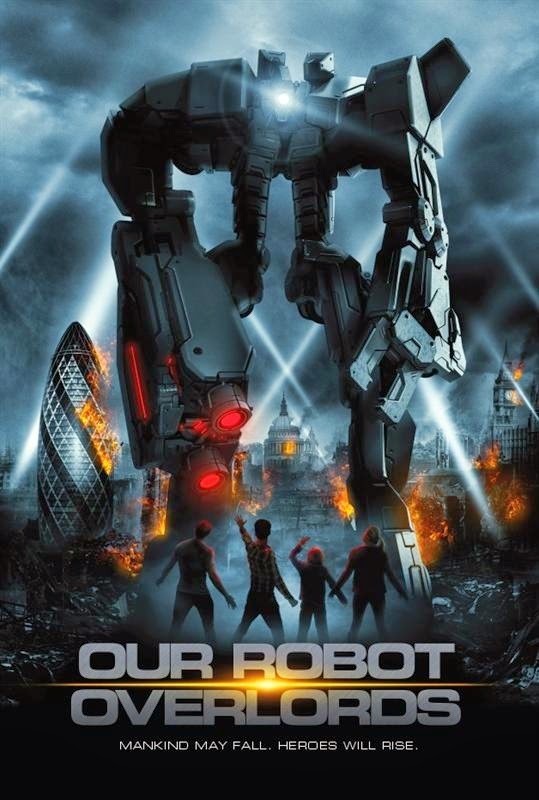 For me, "Robot Overlords" has all the elements of a modern sci-fi cult classic! I certainly hope it gets the attention and the recognition it deserves. p.s. - It's not a flawless movie, but I give it 10 out of 10 to boost it's IMDb rating cause it's worth so much more than the current 4.something!